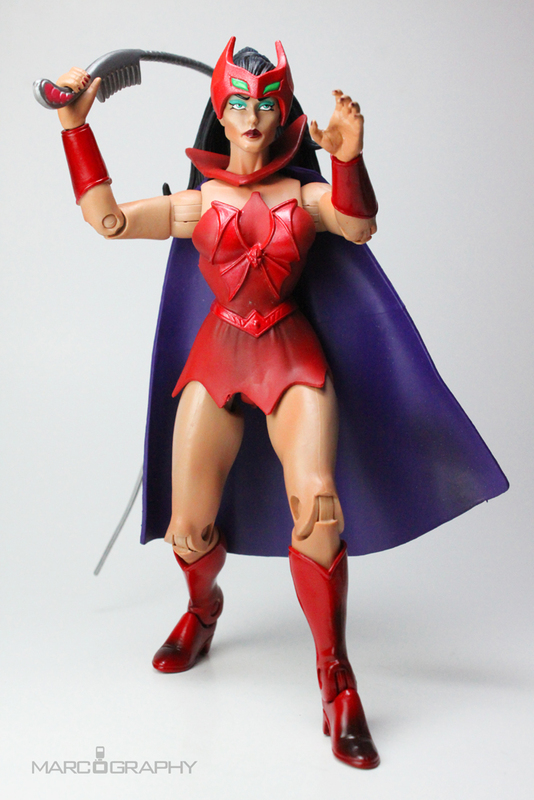 A disputed monarch from the Tri Star System, C’yra joined the Horde Empire and was given a magical mask which granted her secret powers such as the ability to transform into a panther. 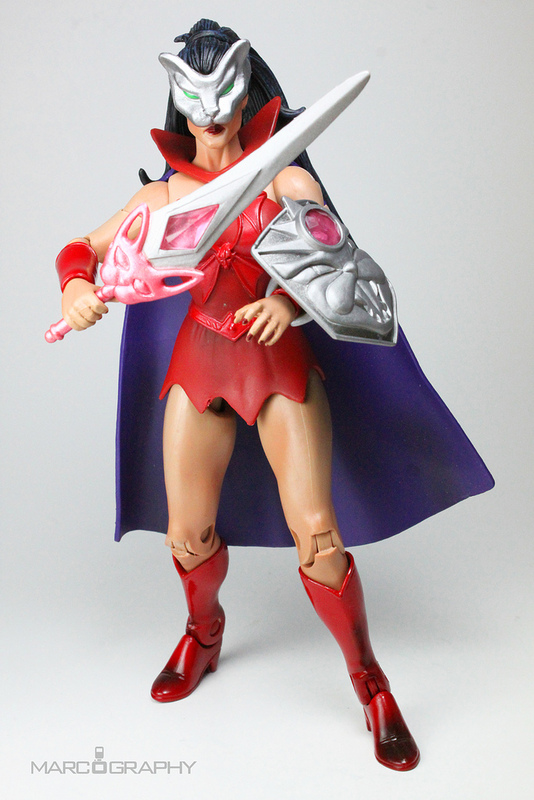 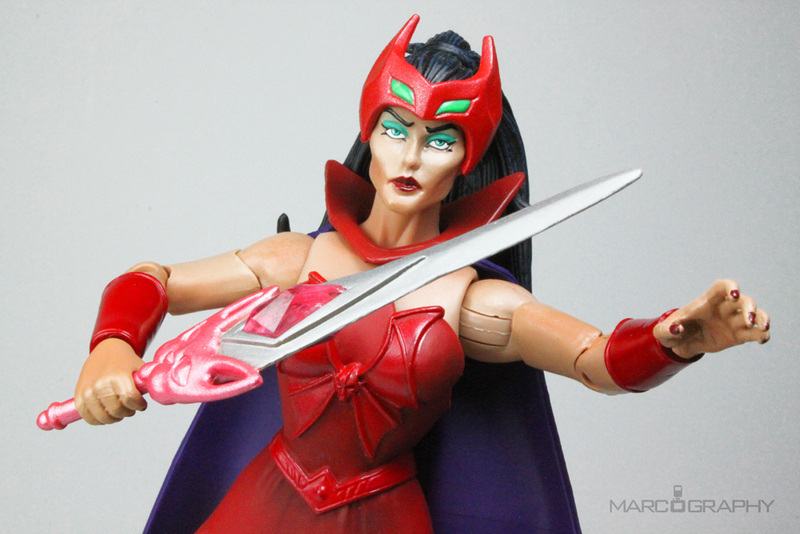 She traveled with Hordak to Eternia on his mission to ensure He-Ro was destroyed. 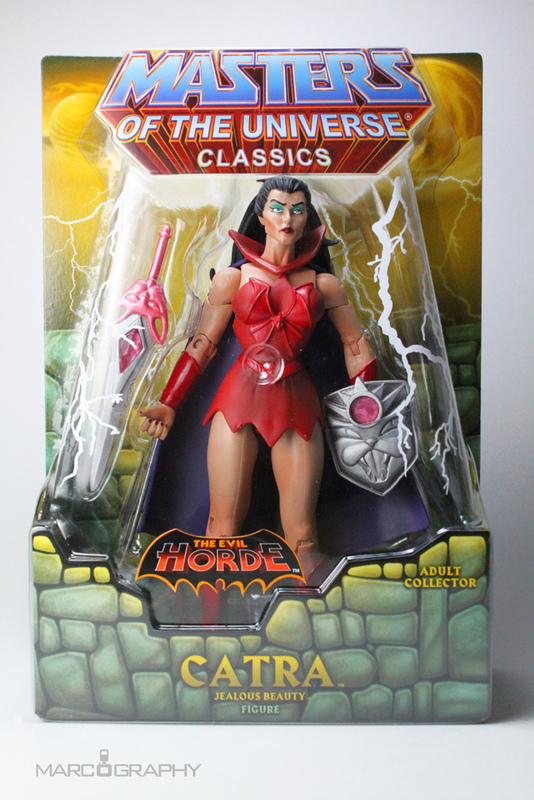 There, along with the rest of the Horde army, she was caught up in the Great Wars and eventually banished to Despondos by King Grayskull. 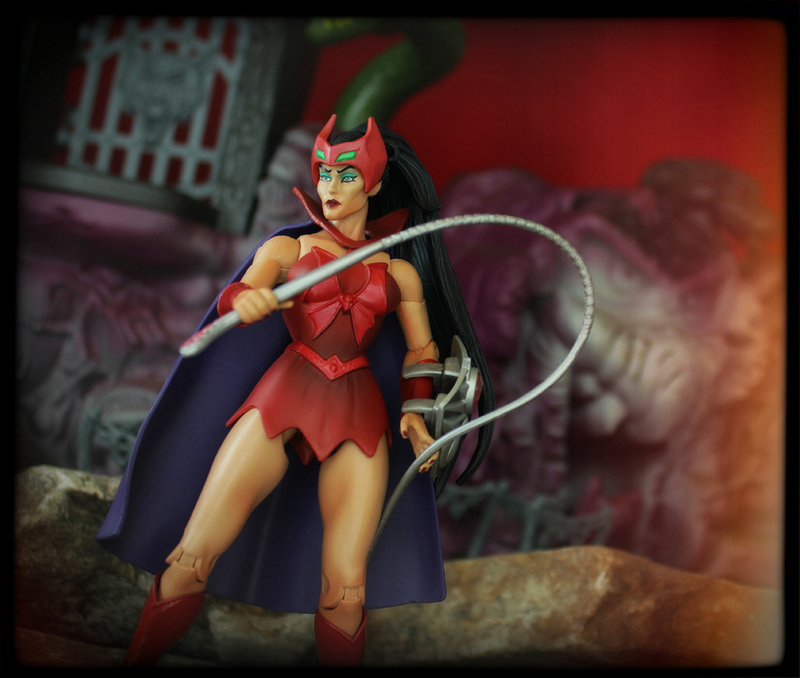 She remained with her leader throughout their banishment and was eventually promoted to Force Captain after Hordak’s step-daughter betrayed the Horde to the Etherian Rebellion. 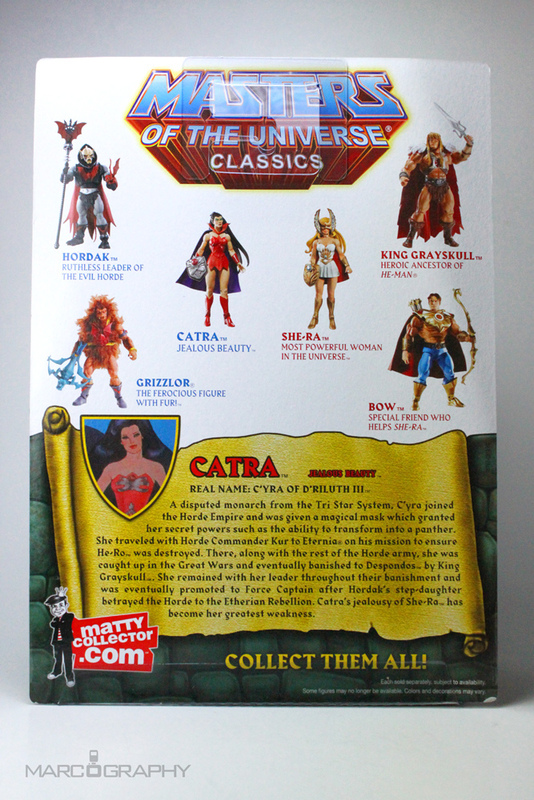 Catra’s jealousy of She-Ra has become her greatest weakness.